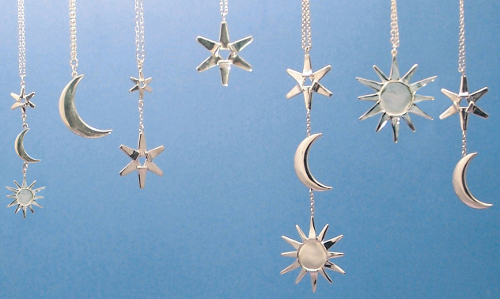 Welcome to Star Wishes Jewelry Designs. Each original handmade design consists of 93.5 fine silver. The sterling that I use is called argentum, which does not tarnish as easily as most sterling silver jewelry can. My jewelry is very popular and most of my customers eventually purchase the entire line for themselves or give as gifts. They always tell me how many compliments they receive when wearing one of my designs and are asked "where can I purchase them?" My customers say that they love the uniquely beautiful simplicity of each piece. I couldn't agree more and hope that you will too! Thank you for visiting Star Wishes Jewelry Design.